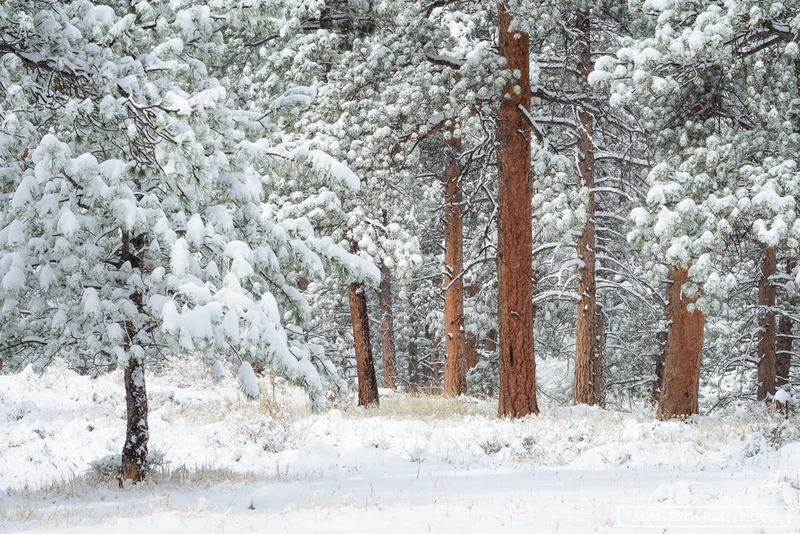 After a winter storm the trunks of ponderosa pine almost seem to glow. While the rest of the world becomes monochromatic they are like the flowers of winter. Photo © copyright by Erik Stensland.